An annual subscription to Waterlog gives you four issues of the most unusual and eccentric angling magazine ever published: great angling stories, unique historical research, off-the-wall humour and great tips for how and how not to fish. Waterlog does not fill its pages with adverts, nor does it offer on its covers free floats or maggots. There are very few photos of large fish and large anglers. 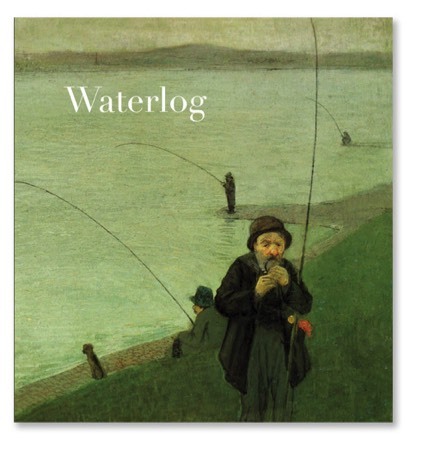 Published quarterly by the Medlar Press, Waterlog prides itself on the quality of its production and the superb writing of its very talented contributors. In a world where everything is becoming similar, it's good to be part of something that is proud to be different. Subscriptions can be ordered on this page. If you are making a renewal you can add your subscription number to the Comments box at Checkout but it is not essential as we will locate your subscription by the name and address. Returning customers / renewing subscribers please note: the Medlar website was upgraded in March 2015. If you have not used the site since then, you will need to re-register, just the once, to complete your subscription. We apologise for any inconvenience caused. Please note that back copies and slip-cases and binders are only available for online purchasing to UK customers. Overseas customers should first check postage using the above contact details. If you are overseas and make an online order for these items we will contact you to request a postage supplement. Slip-cases (for issues 51 onwards) are available and hold 8 copies. These are black with silver lettering on the spine and can be purchased by UK customers here or from the subscription hotline on 01948 831072. Binders (for issues 1 to 50 only) are also available in black with silver lettering. UK customers can purchase them here or from the subscription hotline on 01948 831072.